Berries are good for you - I would be very surprised if this was news to you! However do you know how many you need to eat to obtain this cardio-protective role. Lastly year I blogged that you needed one and half cups of strawberries, daily for four weeks, to reduce cholesterol and oxidation stress levels. 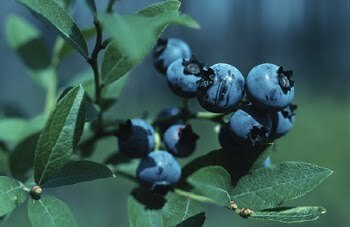 Well in the latest Journal of Nutrition they feed freeze dried blueberries and found over a 8 week period that blood pressure dropped, oxidation of cholesterol was reduced along with others markers of oxidation stress. So blueberries are great for you. The question that remains was how many were they taking. They were taking 50 grams of freeze dried blueberries. This is equivalent to 200 grams of "fresh" blueberries. Apparently there is 80 grams of blueberries in a 200 ml cup. So 2 and 1/2 cups of fresh blueberries are needed daily. By fresh, this can mean frozen blueberries, as lose of nutrients between freeze drying and normal freezing is likely to be approximately the same. Or to put it another way this is 3kg of blueberries every two weeks. Now do you eat this amount?